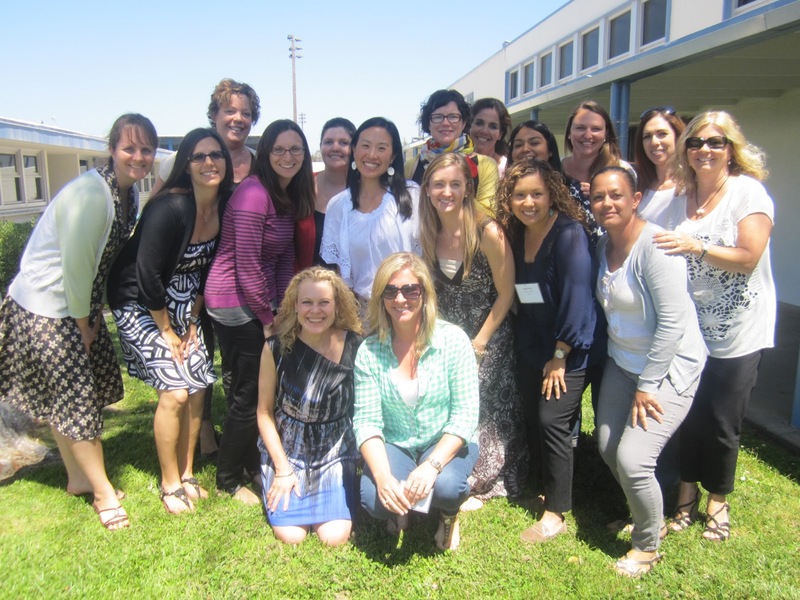 We had the pleasure of spending a week with author, lecturer, and scholar Katherine Bomer during our 3rd Annual Summer Confernce on the Teaching of Writing. 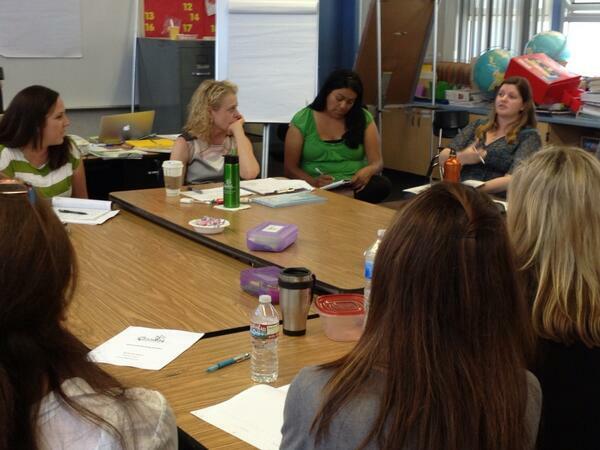 She was a keynote speaker and truly inspired us all to search for the inspiration in all children’s writing. She showed a moving tribute to children’s spoken work, that honors the power of creativity that lies within us all. In her latest book, Hidden Gems: Naming and Teaching from the Brilliance in Every Student’s Writing, Katherine says she drew inspiration from a favorite poet in the naming of her book. Toni Morrison famously commented, “To read like an artist, we need to be digging for the hidden…eager to envision what is there.” Katherine relates this to writing, inspiring us all to examine children’s written word through the lens of gems: the natural ability of our children to express their thoughts with a unique voice and to foster and support this in our writers. This is a lens of respect she says: respect for the hidden gems in a piece of writing, respect for the writer, respect for a child’s words as a form of art. We should have faith in our students’ writing. Here’s a link to the National Council on Teaching English (NCTE), a professional organization close to Katherine’s heart. 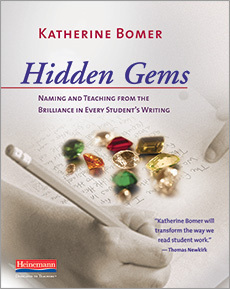 Here’s a link to a conversation with Katherine Bomer about her book Hidden Gems: Naming and Teaching from the Brilliance in Every Student’s Writing.